Two familiar faces peer down at you from the Jefferson School wall. Yes, the guy with yellow feathers and beak, that’s Big Bird! But look over his shoulder at the fellow flying high in an airplane as an alphabet trail sputters behind him. 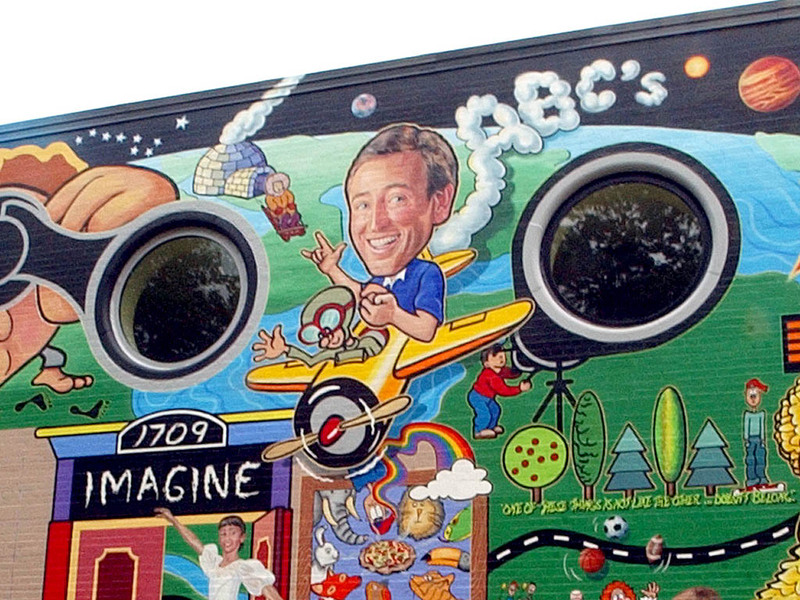 It’s Bob McGrath, a star of the “Sesame Street” children’s program, author, musician and Ottawa area native. 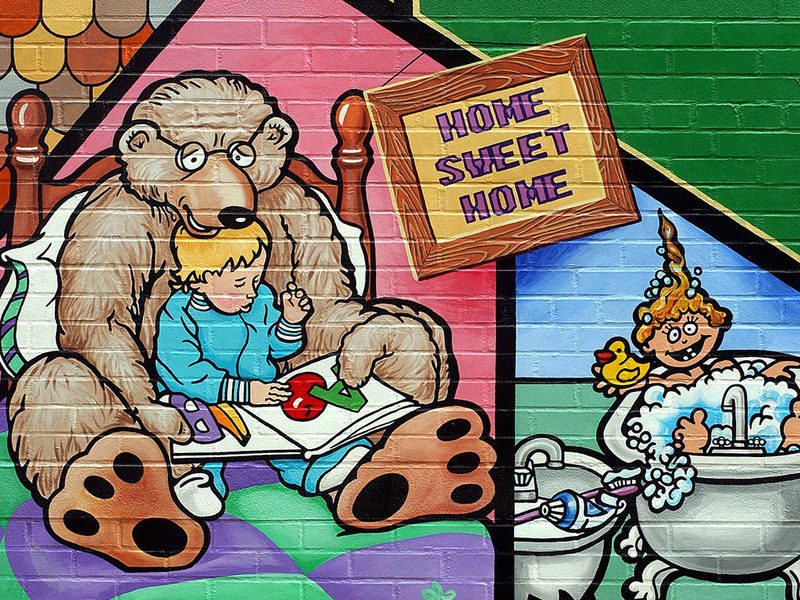 In this mural, Bob is again the star, honored in vivid color for his contribution to children’s education. 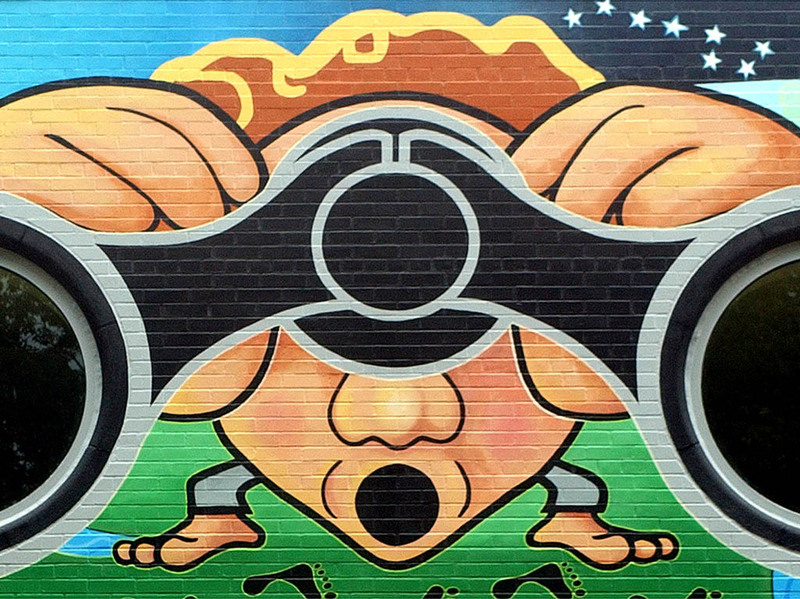 Objects in the mural swirl as fast and as far as a child’s imagination! Here you can travel to the East Coast of the United States, or to the universe! 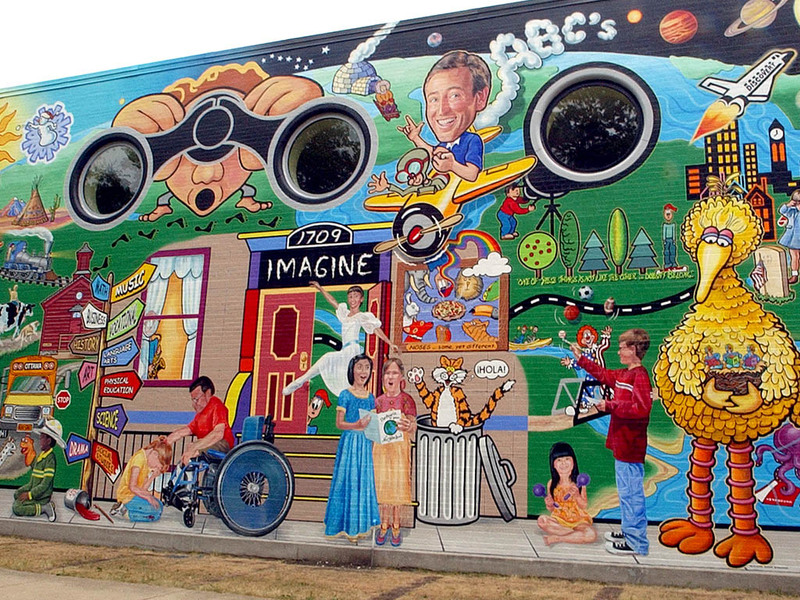 Cartoon characters lend a touch of whimsy to the art as real Ottawa children take center-stage singing, dancing, painting, playing make-believe or offering comfort. 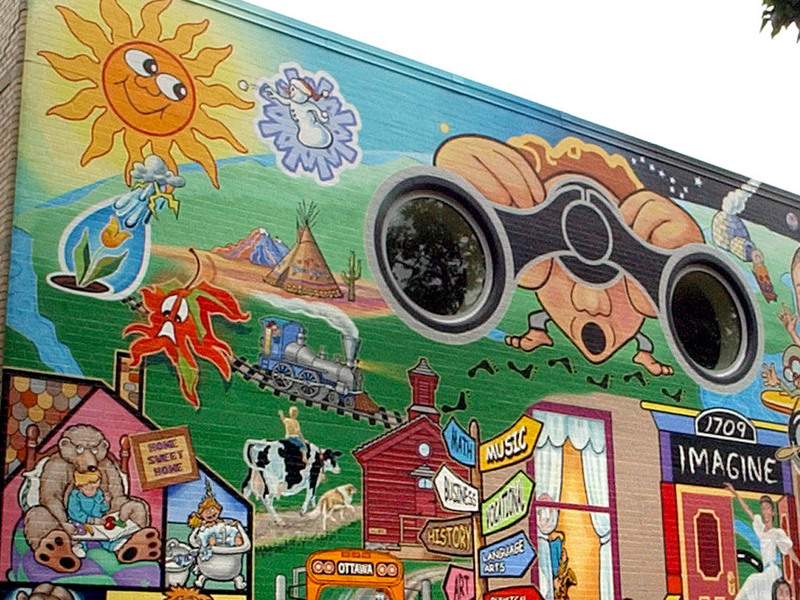 Artist Vicki Crone cleverly incorporates the Jefferson School windows into the binoculars and telescope aimed by the visionary characters at you, the passersby, and into the future!